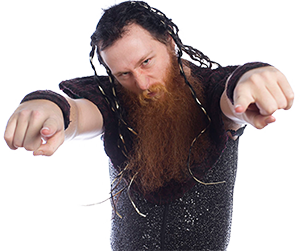 Jason Kincaid is a rising star in professional wrestling. Seen on EVOLVE and Ring of Honor programming, the unique Kincaid offers his introspective views and experience to Fightful.com's Pro Series. He owns a five year reign as NWA Southeastern Heavyweight Champion, and is also a former NWA World Junior Heavyweight Champion and ECWA Super 8 Tournament winner. Jason Kincaid breaks down one of wrestling's oldest discussions. Jason Kincaid on the road, bringing you his story. The latest look into the mind of WWN star Jason Kincaid!! The latest in Jason Kincaid's journey to Tokyo! Jason Kincaid gives us a look inside his latest trip to Japan! Jason Kincaid remembers his rasslecoach! The latest from WWN star Jason Kincaid's journeys across the world! Kincaid: FAQ: Why’d You Cut Your Hair? The latest from Evolve's Jason Kincaid! WWN Live and Fightful.com's Jason Kincaid talks to Elliott Russell! Jason Kincaid interviews a man who has been synonymous with Tennessee indy wrestling for over a decade. EVOLVE's Jason Kincaid gives you a look inside his always open mind. Jason Kincaid continues his awesome tales from his wrestling career. EVOLVE star Jason Kincaid continues to share his career stories with us at Fightful! To end this series of articles, I want to take it back to a beginning. “What religion are ya? !” Yelled some teenage young man from the crowd, this past weekend, with violent fervor. EVOLVE Star Jason Kincaid opens up about his traveled pro wrestling career. Maybe it’s the way I look, or the way I talk, or write, or act, or wrestle...I’m not sure, but I get accused of being on drugs, a lot.